A stretch of the R747 where the incident occurred. GARDAÍ HAVE APPEALED for witnesses after a two car crash left four people, including a seven-year-old child, needing hospital treatment. At around 6pm yesterday, the emergency services were called to the scene on the R747 at Kilmurray Lower between Baltinglass and Kiltegan in Wicklow. The driver of one of the cars, a woman in her 40s, was taken to Naas General Hospital and later transferred to Beaumont Hospital with injuries described as serious. Two passengers in the car, a woman in her 70s and a seven-year-old girl, were taken to hospitals in Naas and Tallaght. Their injuries are not thought to be life-threatening. The driver of the second car, a woman in her 50s, was also taken to Naas General Hospital. Email “Four people including seven-year-old girl hospitalised following Wicklow crash”. 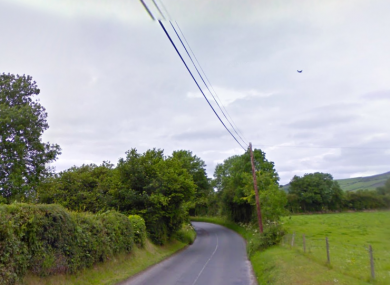 Feedback on “Four people including seven-year-old girl hospitalised following Wicklow crash”.